“Christ, our Passover lamb, has been sacrificed” (1 Corinthians 5.7). By the shed blood of Christ, the Lamb of God, eternal death has passed over us. Now we pass with Christ through death into life everlasting. For Christ the crucified One is risen! 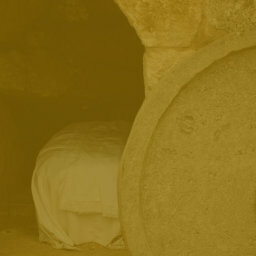 The stone has been rolled away from the tomb, revealing that the tomb could not hold Him (St. Mark 16.1–8). Now our Redeemer lives eternally to save us from sin and Satan and the grave, and we can live in the sure hope of our own bodily resurrection with Christ. “After my skin has been thus destroyed, yet in my flesh I shall see God” (Job 19.26). Feasting on the living Christ, who is our meat and drink indeed, we boldly say: “O death, where is your victory? O death, where is your sting? . . . But thanks be to God, who gives us the victory through our Lord Jesus Christ” (1 Corinthians 15.54–55, 57). Altar Flowers are given to the glory of God by Mrs. Bev Christopher. Baptized into Christ, Made a Child of Paradise in the 10:30am service today is Cecily June Burris, daughter of Michael and Katie Burris, granddaughter of Gary and Sherry Fitzgerald. Her sponsors are Kris and Amy Fitzgerald. Little Lambs Family Easter Egg Hunt is Saturday at 4pm. Families with children grades 4 and under are invited. Fried chicken will be provided. Please bring a side dish or dessert to share. RSVP to Karie_Sutton@yahoo.com or 812.917.3941. The Feast of the Annunciation, since it fell during Holy Week this year, is transferred to Monday, April 9. Mark your calendars to attend Divine Service at 7pm. Case for Miracles and the Resurrection, a presentation sponsored by LCMS-U at Butler University (4600 Sunset Avenue, Indianapolis; Pharmacy Building [PB 150]), will be Saturday, April 14 from 9am-4pm. The presenter is the Rev. 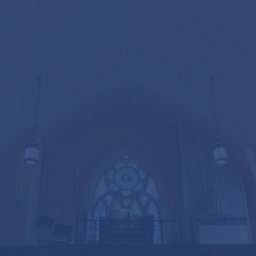 Dr. Joshua A. Pagan, M.Div., Ph.D. (LCMS). This presentation discusses the historicity of miracles and the resurrection of our Lord Jesus Christ. Everyone, including college and high school students, is welcome and encouraged to attend. It’s FREE! Please RSVP to Vicar Johnston by Saturday April 7. L: Make haste, O X God, to deliver me.